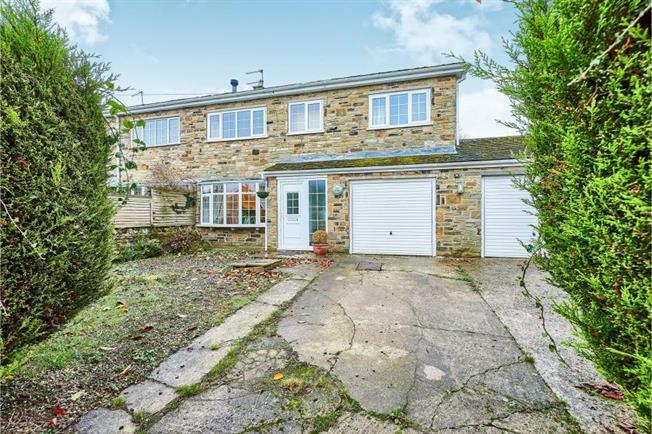 4 Bedroom Semi Detached House For Sale in Richmond for Offers Over £250,000. A substantial property located in the desirable location of Newsham. This light, bright and airy property has been modernised throughout by the current owners, making it a perfect family home. Stone faced, with integrated double garage and off street parking for two cars. The large garden boasts three sheds, a green house and an array of mature shrubbery and trees across the two tiers with views of countryside beyond. The property briefly comprises of entrance porch to hallway with downstairs W.C. Large lounge with open fire, kitchen/breakfast room with patio doors to the garden and integrated appliances. Dining room with open fire and bay window to the front. Upstairs are four double bedrooms, master with en-suite. Large family bathroom with a stunning free standing bath. There are also stairs up to the attic room which has been boarded out and would make for a great games room.